A bike path is only one stage in a journey, not a destination. 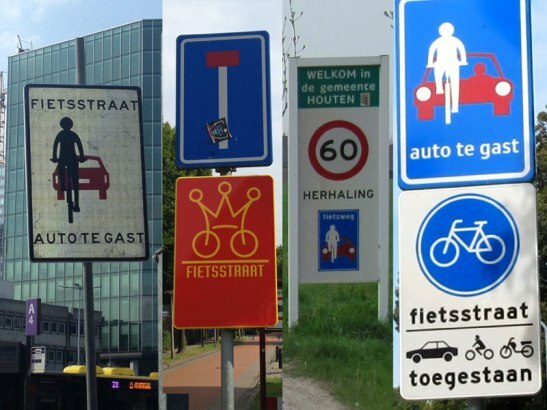 It’s easy, when you spend a lot of time and effort campaigning for the installation of a bike path (by which I mean a safe, separated, Dutch-style bike path), with the necessary intense focus on the technical detail as well as the politics, to see the bike path as an achievement in itself. Once the path is in situ and after sorting out the inevitable snags, you should reasonably be able to be relieved of the slog of fighting for agreement with the local authority and overcoming the guaranteed irrational NIMBYist opposition, and that you’ll be able to ‘sit back’ and enjoy safer, more pleasant cycling instead of attending endless numbers of public gatherings, site meetings and press calls. But, life’s not like that. A bike path is not an end, but just one step in a long journey. The ‘Taviplace’ cycle route in the Bloomsbury area of central London, is in the midst of a contested upgrade. The local council, and Camden Cycling Campaign, want to upgrade the route from a single two-way cycle path to a pair of one-way cycle paths (with motor traffic restricted to one direction, namely east bound for most of the route). This has been trialed in a simple form (using ‘armadillos’) for the last year or two – and has worked very well. But opposition from the ‘usual suspects’ (taxi drivers, the Tavistock Hotel, the Bloomsbury Residents’ Action Group, etc) led to a public inquiry. The inspector concluded that the new scheme should not be given the go ahead. But the inspector did say that if the direction of motor traffic flow was reversed (i.e. to run westbound), it should go ahead. 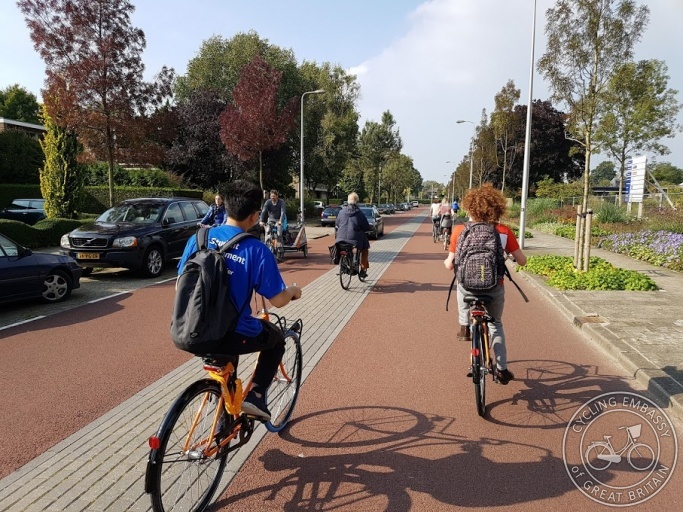 Whatever the Council decides it is clear that the demand for cycling is simply far too high to be catered for in a single two-way cycle track – indeed that was the primary reason why the Council proposed the upgrade. In some form or other, the two one-way cycle paths scheme must go ahead. It’s worth briefly looking at the history of the Taviplace cycle route. 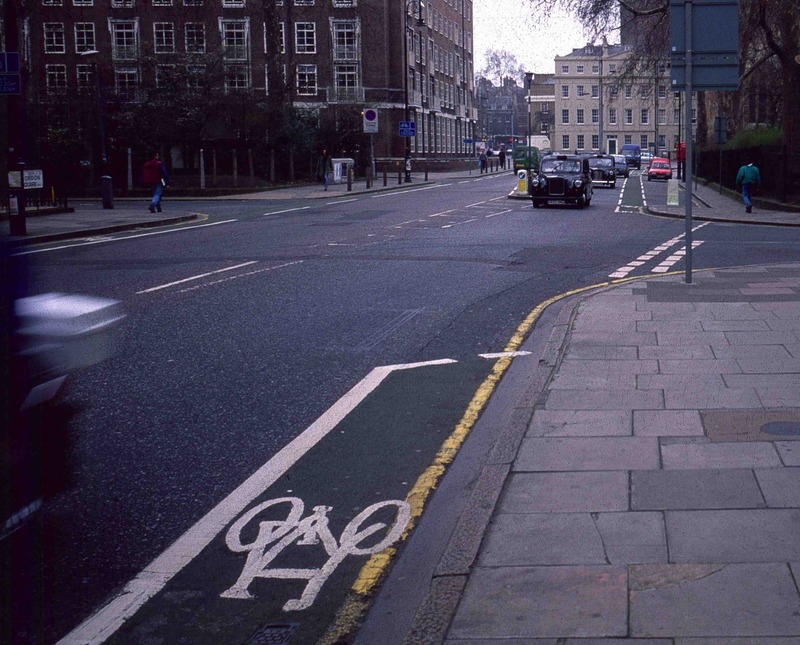 Back in the Dark Ages of cycling in London, some 25 years ago, two one-way painted cycle lanes were provided on either side of the roads making up the Taviplace route. With constant parking in the lanes, taxis picking up and setting down ‘fares’, vans stopping to make deliveries, the painted lanes were as useless here as they have proved to be everywhere. Camden Cycling Campaign in the late 1990s proposed to Camden Council that a two-way separated cycle path was needed and after a couple of years of campaigning, and with the critical support of some progressive councillors, Camden Council took the decision in 2000 to implement the scheme. It should be remembered that at that time there was no London Mayor or London Assembly and decisions about cycling projects lay with the Government Office for London with boroughs give some degree of manouevre for local schemes. Which gave space for Camden Council to take the brave decision to proceed. The GoL representative at one of the many meetings that led to Camden’s Council’s historic decision, said that he agreed that it was a ‘nice idea’ and he personally would use it, but that he was sure that there was no demand as most people didn’t want to cycle. Fortunately he was proved wrong in a short time and the route rapidly became one of London’s busiest cycle routes with 1,000 cycle users in the morning peak period. Cyclists voted with their wheels that safe, separated cycle paths were the route they wanted to follow. It’s also worth pointing out that the availability of safe cycling paths has encouraged ‘modal shift’ – or ‘motor traffic evaporation’ – as small and large companies see that they can ditch expensive motor vans for local deliveries and use cargo bikes instead. 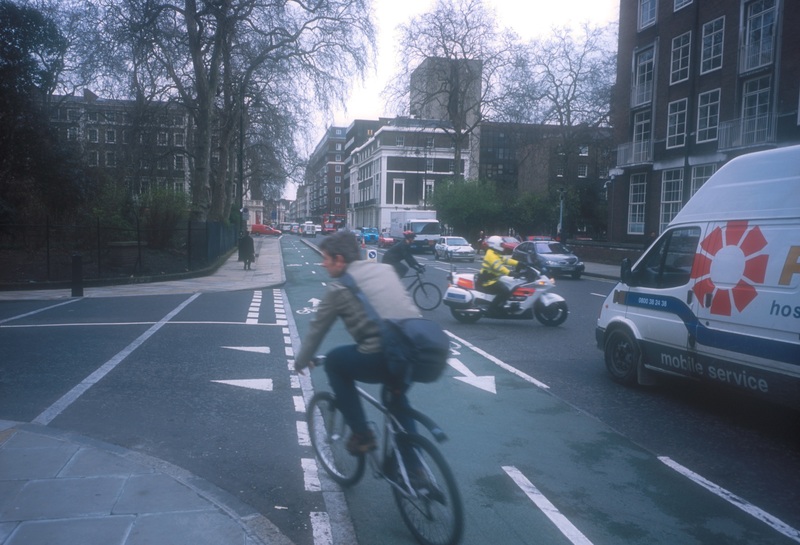 As elsewhere in London, such as the two-way cycle tracks on the Embankment, the policy of introducing safe, separated cycle paths is a resounding success – less congestion, less pollution ad more people travelling with a cheap, healthy mode of transport. ‘CS3’ two-way cycle path, Embankment, Westminster has had over one million cyclists using it in the period between mid-February ad mid-July 2018,. However, the Taviplace two-way cycle path was provig to be too narrow for two-way traffic and as numbers of users built up it became obvious that space for cycling was under-resourced (actually the term used was ‘over-crowded’ – but that’s the wrong way to look at it). 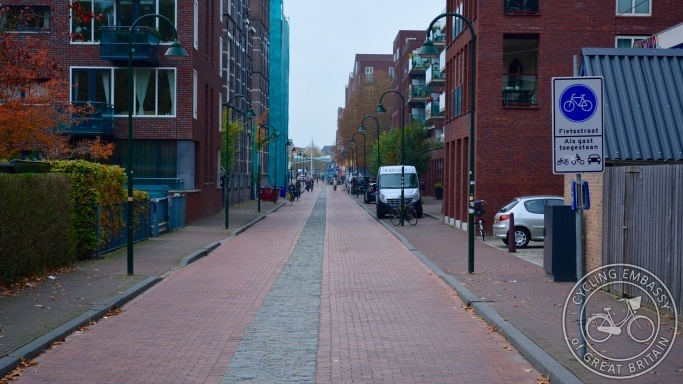 After much campaigning by Camden Cycling Campaign, the Council agreed that a more radical approach was needed and that they should upgrade the scheme to two one-way tracks and with motor traffic should be restricted to one direction. Which brings us back to where we began this posting and the unsatisfactory conclusion of the public inquiry. We are thus currently at a standstill of sorts, except that London’s traffic crisis cannot be allowed to stand still as the city continues to grow, there’s tens of thousands more minicabs on the streets and thousands more vans doing deliveries. Also, though an often disregarded factor, cars and motor vehicles are getting bigger and bigger (so-called ‘super-sizing’) thus taking up more space and adding to congestion. Something has to give and re-allocating space along the Taviplace ‘corridor’ is an obvious approach. So it is hoped that Camden Council as the courage to do what it knows is right and goes ahead with its proposals. If it does, then can we sit back and simply enjoy another building block having been put in place to introduce sustainable, non-polluting, non-congestion-inducing transport in the capital? Well, the answer is ‘no’. Even while planning and, hopefully, implementing the two one-way system it is increasingly obvious that cycle demand will before long outstrip the capacity that even the two one-way paths are going to provide. This means that we should be thinking already about the next upgrade. It’s worth noting that this is not a mark of failure but of success. The original single two-way path was proposed back in 1998 in the expectation that it would, sooner or later, prove to be inadequate and need upgrading to two one-way paths. It is already obvious in the morning peak period that the number of people cycling westbound is just about practically catered for by the narrow cycle path. 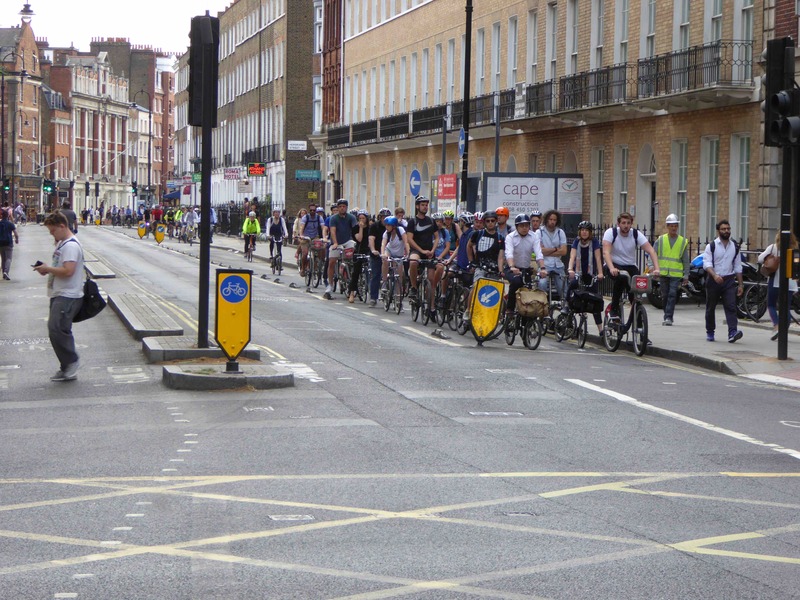 Standing at the junction of Tavistock Place and Woburn Place and looking eastwards in the morning peak period, there is a steady path-filling quantity of cyclists heading west – and fed by a considerable number of cyclists coming out of Judd Street onto Tavistock Place. Camden Council has recently given the go-ahead for building cycle paths on Judd Street that will link in with safe cycle routes coming from Camden Town and Kentish Town from north across Euston Road as well as linking up to cycle routes from the south. This will, as we now know for certain, lead to a considerable increase in the number of cyclists using both the Camden Town-Judd Street and the Tavistock Place cycle paths. Attention thus needs to be given to how to cater for the demand on Tavistock Place in five years time. Currently, despite the heavy cycle traffic and low levels of motor traffic, motor vehicles are allocated the greater part of the available road space. Consideration needs to be given to removing all ‘through motor traffic’ (currently only westbound) from the whole Taviplace route allowing only deliveries (where deliveries cannot be catered for by using side roads), resident access and disabled access. By restricting motor traffic to each block on an access only basis through traffic can be removed to the main road a short distance north, Euston Road and motor traffic levels on Teviplace could be drastically reduced. The concept being evolved in the Netherlands of a ‘fietsstraat’ (literally a ‘cycle-street’) could be usefully borrowed here – just as the idea of using safe, separated cycle paths was borrowed from the Netherlands for ‘phase 1’ of the Taviplace route back at the start of the Age of Cycling Enlightenment in London back in 2000. It has been said – I don’t know by whom – that to cycle you need to carry on forwards as if you stop you’ll fall off. The same is true of planning for cycle infrastructure – if you stop planning you’ll end up with under-resourced cycle routes and that means retarding sustainable, pollution free urban transport, restraining mobility in the city and encouraging the already chronic motor vehicle-induced congestion that is the bane of London. Even as decisions are being made about what to do following the Taviplace cycle route upgrade public inquiry, it is necessary to be thinking about planning the next step.